Why u no hangout anymore? 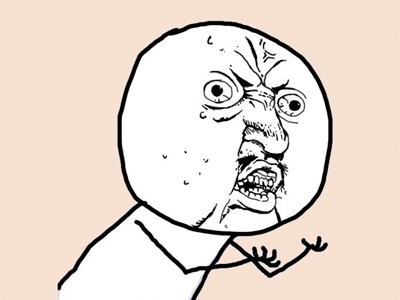 y u no reed books? Y U NO PANG CHANCE!?!? y you no share your cane? u no lika the headphones no more? y u no work for me?!?!?!!?!?! Y U NO READ SKYPE? Y U NO FLY LIKE SWAN? y u use different templates?